The clock strikes 11 and a petite figure with youthful childlike demeanor turns up at my hotel Villa Fontaine lobby. Arti from India? She enthusiastically questions with enquiring eyes. Yes, and you must be Sayaka from Expedia! I reply excitedly. 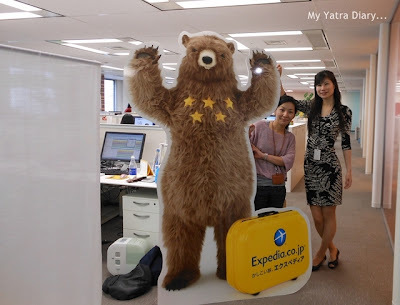 She was Sayaka Hirayama, marketing executive for Expedia and my sweet host for the trip. 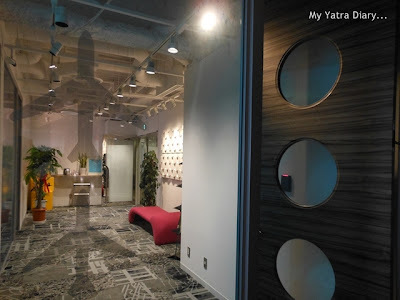 A visit to the Expedia office in Japan was one of the many things that were on my to-do-list in Japan and frankly speaking, I was quite nervous about it. Since I didn’t quite know what to expect out of it, I had come to harbor my very own fanciful qualms of boring presentations and endless introductions and secretly wished for it to get over soon... even before embarking on the trip. However, it wasn’t long till I realized that all my self imposed nervousness and fears were just that... a fancy. At the office, which was just a stone's throw away from our hotel Villa Fontaine Roppongi, I was at once relieved to see everyone busy in their own works. No commotions, no disturbances, no overstated welcomes, nothing – all calm and quiet. Sayaka introduced me to some members of the staff and all of them responded with much warmth and affection. I wandered around the office and appreciated the casual décor of the place as Sayaka went on to explain the working model of the company. I glared at the computer screens of the people working there in a curious attempt to make out what exactly they were doing at their work stations. The amazing thing was that they never stared back and generally remained engrossed in their work. A few people returned pleasant smiles but that was it, no one ogled back thus ensuring that I feel relaxed, comfortable and at ease at all times. The views from their glass balcony were impressive. Amid all the concrete, the picture of the red and white painted 333 mtr. high Tokyo tower touching the skies was splendid. Later after completing the office tour, I was delighted to be presented with a big goodie bag that included a stuffed Expibear and a few stickers. 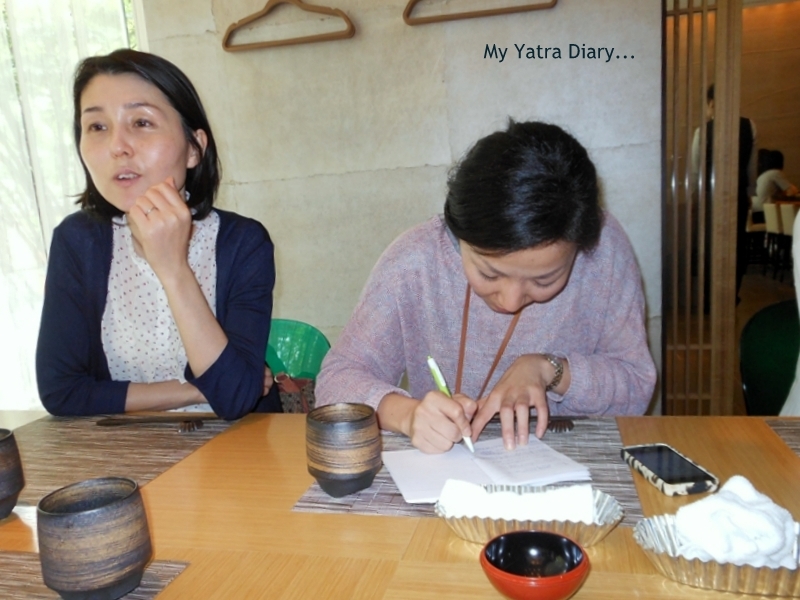 To add something more to it, there was a surprise lunch with four members of their staff members organized for us. I actually didn't feel like disturbing it. My first sushi – vegetable sushi - platter accompanied with some insightfully engaging banter with the lively and spirited Expedia staff was a delight and made for a fun afternoon. ... giving me very little reason for not marking something that I initially dreaded, as one of the memorable highlights of my Japan trip! It's a short walk from Villa fontaine Roppongi, the hotel in Tokyo where I stayed. It does look as though you are having an incredible trip, Arti! I'm so happy for you! And I do love your photos!! Enjoy and have a great week! Where are you Arti in the pictures? I have enriched myself with your experience. 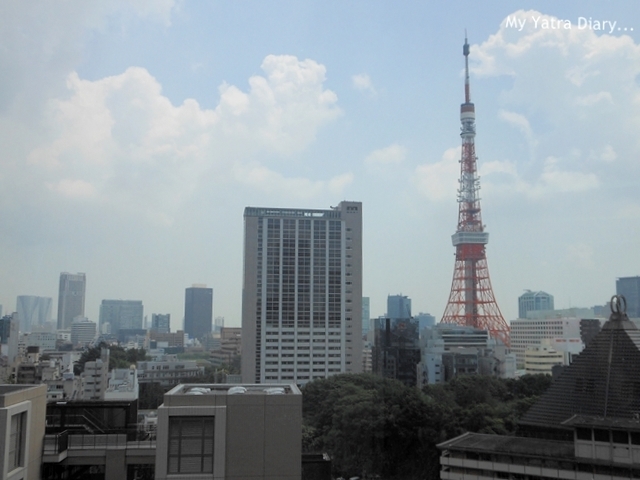 The Tokyo Tower has been beautifully captured. Sounds like after a visit with them you will have a busy days with all the activities they have planned out. Enjoy your trip as with all of them they can be such great learning experiences as well. All so exiting Arti - like a fairy tale come rue! A good lesson for us all, Arti - sometimes our mind makes a huge problem when there is none. Glad you felt so welcomed and were immediately at ease. What a nice welcome! I am glad you felt so at ease there, Arti. The Japanese are courteous at all times. Vege sushi... how the taste arti..? it's smeeels like fish or? oh, wish would also have the same opportunity as you but you very much deserve this Arti, and soooo happy for you. I admire the dedication Japanese employees put in their work, and their professionalism you shared. looking forward to more of your trip and journey in Japan. 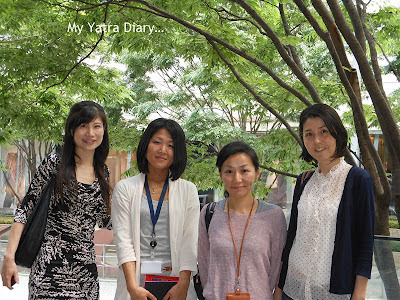 Finally the wait is over and a glimpse of Japan now begins:) Thanks for this post, Arti! they are friendly at the same time. You seem to have had a great time at their office. good to visit ur post after a long time... interesting post where u have showcased some of the cultures of Japan. What a great trip. I didn't know that there is the company in Japan. I also want to visit the office. Glad to see u enjoyed ur trip arti..it's good to get acquainted with locals.. That really makes us feel like living a life in Japanese style and in getting to know more of their culture... They are synonymous with hard wok isn't it!??? Looks like you had a wonderful trip, Amazing Hotel, nice expedia office visit and what's next? 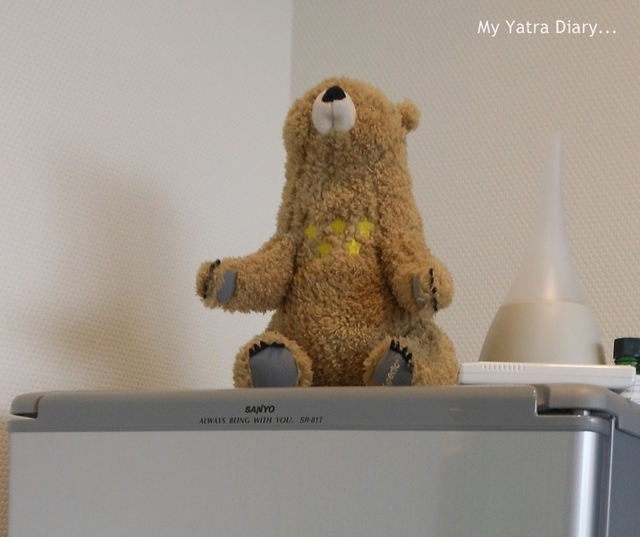 Lovely office and cute mascot bear. Vege sushi? They made sure you've got vegetarian food? Oh my goodness, how exciting and how cute is that bear. Loving here about your adventures, I look forward to more. They are nice ladies. 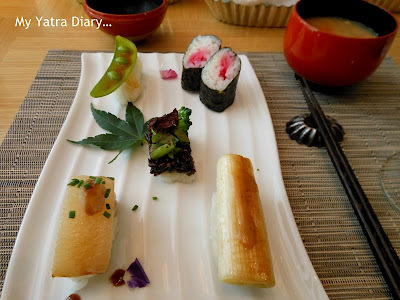 It's convenient that your hotel and expedia is near.And also the vegetable sushi is good for vegetarian. That is one cute post with many cute smiles...how was the sushi?? 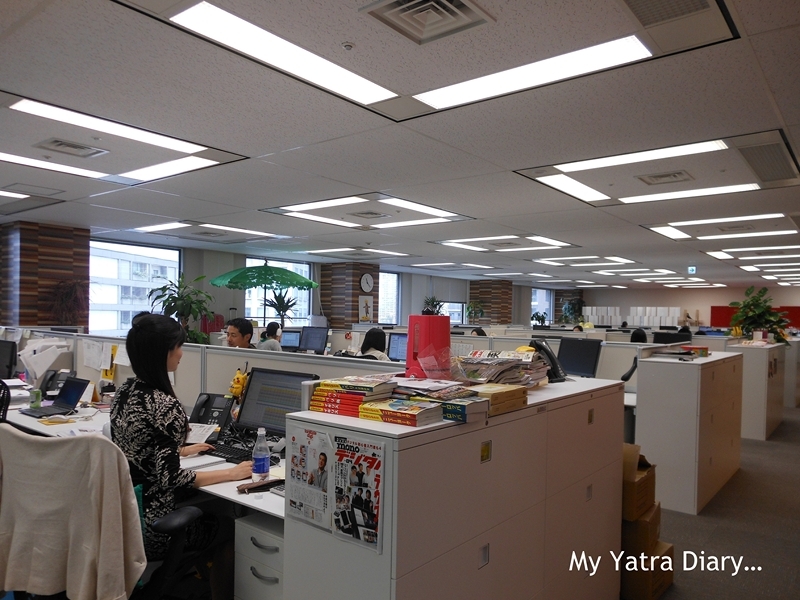 Looks like a great place to work, Arti. And they took good care of you too! 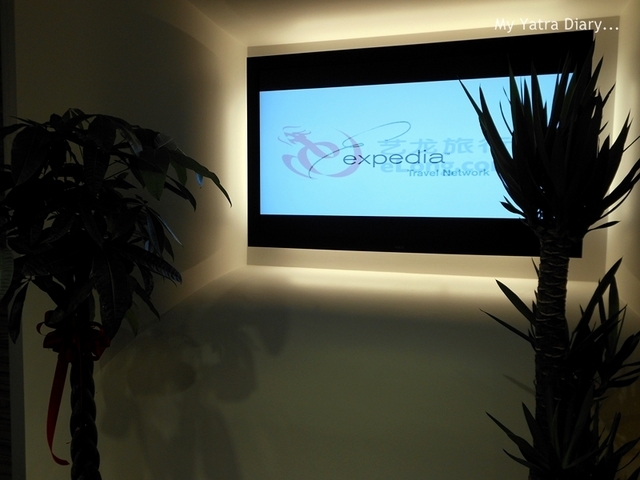 The Expedia office offers a great ambiance! Would love to work in that kind of an environment, any day! The pics are awesome..please do keep updating us! Interesting...And that one is a Vegetarian rest? lovely,write up and lot of info with details! Your hostesses look very cheerful & friendly,but where are you ? This is the first time I heard about veg sushi. Good post and pics. the best thing about your posts are...everything falls in the right place at the right time..be it photos or words... as if u know what ur reader is expecting . very nice post or should i say event-narration ! Awesome experience...so nice to read the story, pics and sushi is really artistic. I did not know, sushi is a veg recipe. Thank you everyone for your kind comments and appreciations. Sushi is not traditionally a vegetarian delicacy but my hosts took pains to find a place which serves a veg one for me. Will post more details later.